Wildwing: "I'm sorry Siege, but these exhibits look right at home. Let's say we leave them where they are!" Siege: "Sorry Wildwing. I think they want a change in scenery." Mallory: "Now wait a minute. 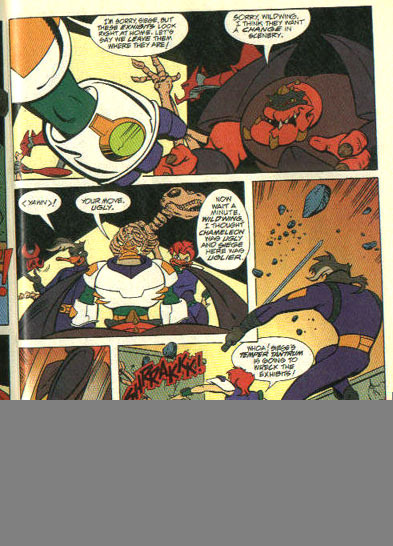 Wildwing, I thought Chameleon was 'Ugly', and Siege here was 'Uglier'." Mallory: "Whoa! Siege's temper tantrum is going to wreck the exhibits!"